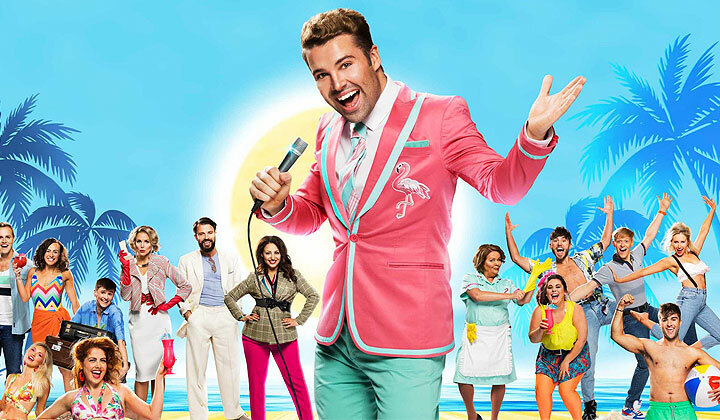 Welcome to the vibrant Club Tropicana Hotel- the 1980’s answer to Love Island, where the drinks are free and the whole family is invited to join the ultimate holiday musical, celebrating all that we love about the 80’s. Club Tropicana – Your destination awaits! Book your first class ticket today to see the FEEL-GOOD MUSICAL of the year.